“Wheeling Past the Stars” is a first song cycle for soprano and cello, with texts drawn from poems by the much-loved modern Indian poet Rabindranath Tagore. It was showcased by the Birmingham Contemporary Music Group at the annual conference of the Incorporated Society of Musicians in Birmingham on 16th April 2019. The Bengali poems are in a modern English translation by the international Tagore authority William Radice. The event was introduced by David Saint, outgoing president of the ISM. 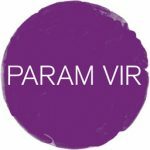 Param Vir was then interviewed by Katy Hamilton about his music and the background to these poems. Following this the work was performed by Patricia Auchterlonie (soprano) and Uli Heinen (cello).